When I started this blog, my introductory post stated that I pride myself on the research, time, and money that go into my projects, as well as the people with whom I surround myself to provide service, guidance, and advice. Over the course of the last year I have been lucky enough to meet, and establish relationships with, some great people in this industry. I am not naive enough to believe that there are not five or even ten unscrupulous or shady personalities for every one reputable character out there in the aftermarket parts world, but I feel confident suggesting that, at this point, I am doing okay. The aftermarket parts industry is a business. People and companies need to make money. 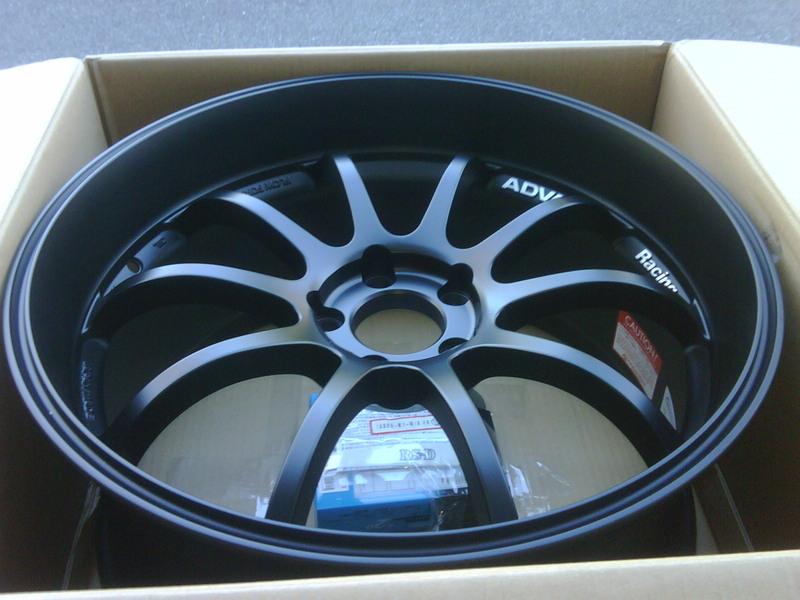 However, I can buy parts from anyone. It's the intangible qualities that attract me and leave an impression. A palpable passion and commitment to the industry and the culture, as well as acceptance and understanding of the customer's vision are some of the qualities that separate certain people and shops from others. That is what I hope to experience when I encounter new industry personalities. I consider myself incredibly fortunate to have established some great relationships within this industry. 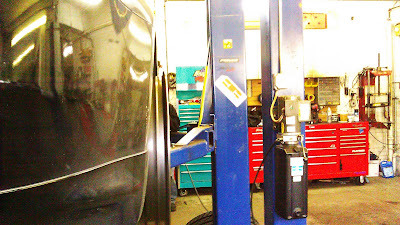 Whether it be from Brian (JT Motoring), who has been with me from the beginning - weeks after I purchased the G, always willing to offer advice and opinion, sometimes until the early hours of the morning, or Ben (Bulletproof Automotive), who has not only helped me to procure some rare JDM parts, but also will not hesitate to offer me sound advice and guidance. Ben has become much more than a great resource over the years; he is someone I no consider a friend. An outsider looking in, I readily admit that I do not maintain a complete working knowledge of the inner methods of the Japanese tuning industry. However, I feel strongly in my assertion that passion and respect is the essence of what it means to be a JDM purist. These guys possess that passion, and therefore, my respect and reverence. The positive and noteworthy experiences with the good people in the industry are what make modding enjoyable. I have a T-shirt to prove it. Coupled with my 515+ gram Tommy Kaira Hebi Bebi shift knob, ripping through the gears has never been more enjoyable. With this aftermarket addition to the G, I do not foresee any regret. 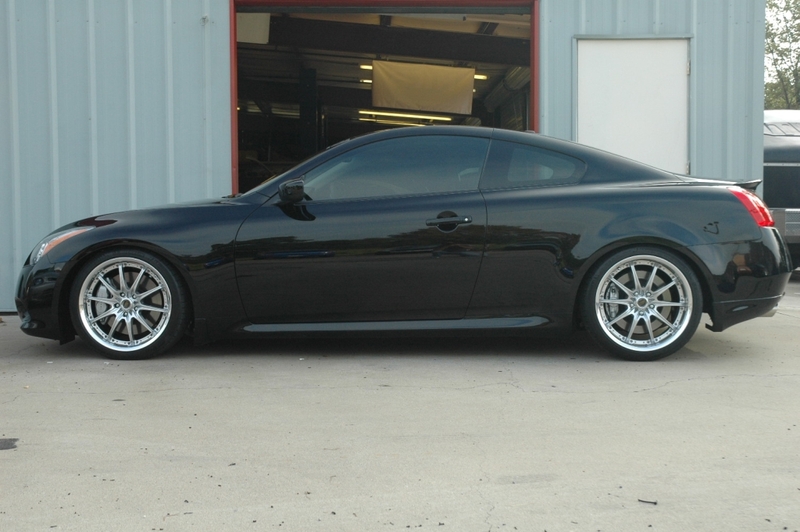 This is a modification (along with sway bars, a good set of tires, and upgraded brakes) where I cannot pinpoint a downside. 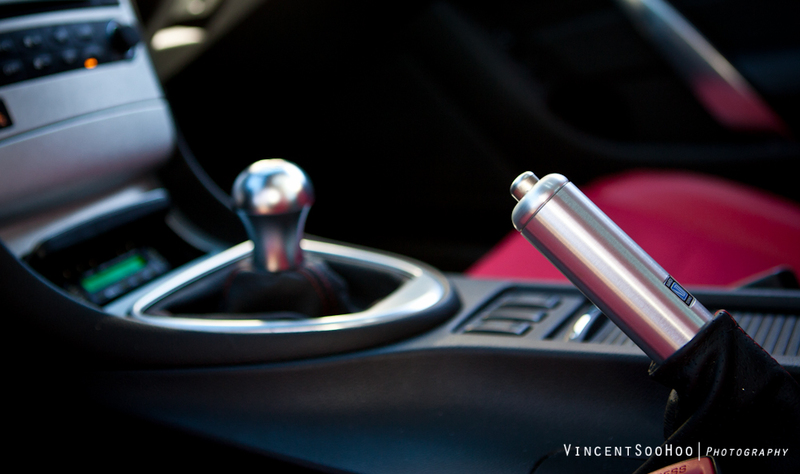 Stillen's short shifter is solid, sturdy, and confidence-inspiring. The shifts are tight and concise. With about fifty miles under my belt with the new shifter, I am extremely impressed. 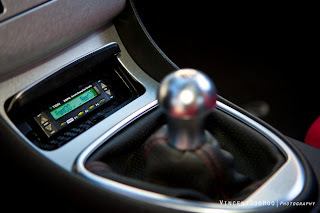 I check up on the work of the filmmaking auto enthusiasts at Format67 regularly. A strong human element is among the common themes in their productions and, although I have viewed their visual masterpiece featuring the Audi R8, Follow the Leader, multiple times, it still manages to elicit some ardent emotions in me. Without a doubt my favorite masterpiece of these guys, to say it is intensely powerful is an understatement. With the SL's mounted this week, I got to thinking about some of my past wheel and tire set-ups. 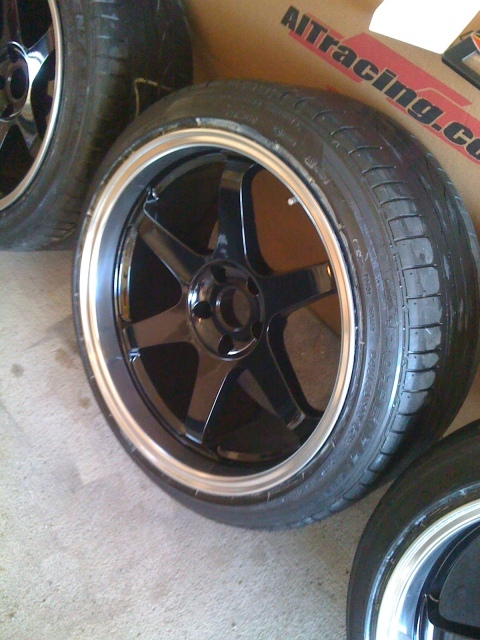 I haven't owned a vast number of wheels, but a few of the sets of which I am particularly proud are featured here. The next wheels were a set of Volk CE28's in one of my favorite finishes, Magnesium Blue. 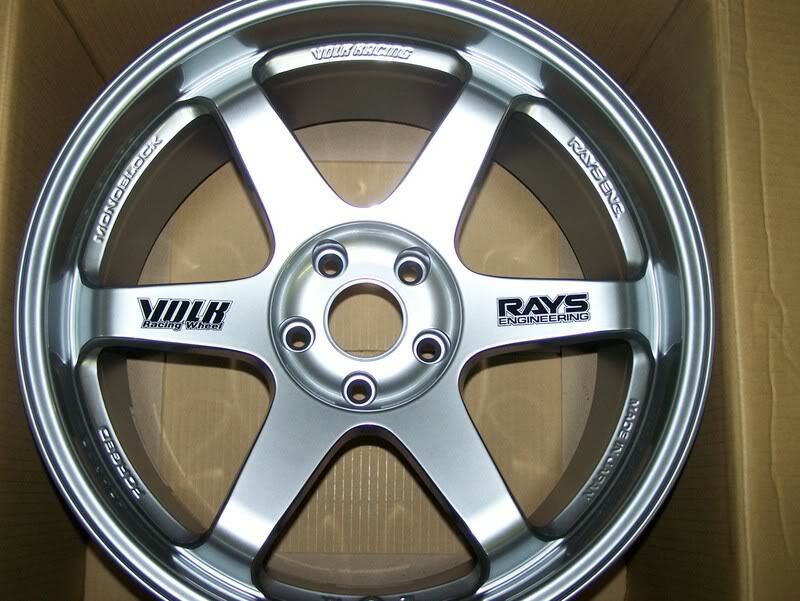 These wheels never actually made it on the car, as I sold the Z (and a number of other parts I had purchased for it) before I got around to having them mounted. 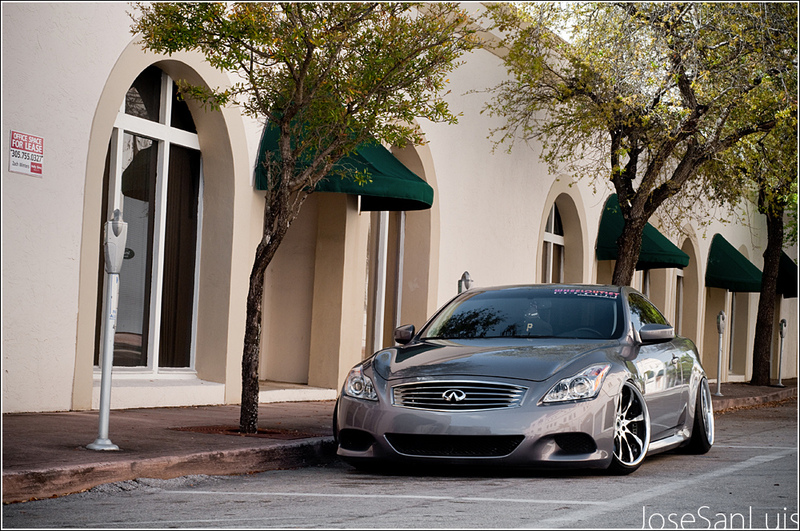 I then took a little break from modding before I purchased the G37S. 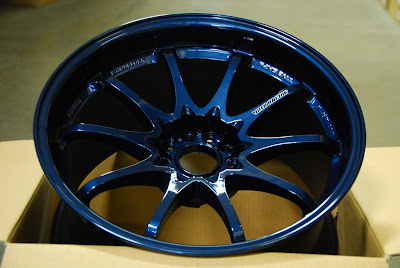 I can remember, years ago, Sharif of Forged Performance posted a picture on the Z boards of a G on Volk GT-F wheels (pictured below) and saying to myself that I thought 19's looked too small. 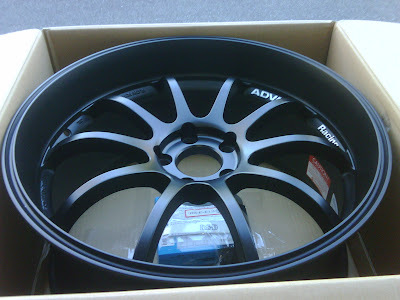 Thus, upon purchasing my G and seeing that the Advan RS-D's were being made in 20" diameters, I had my order placed before I even had the car in my possession. 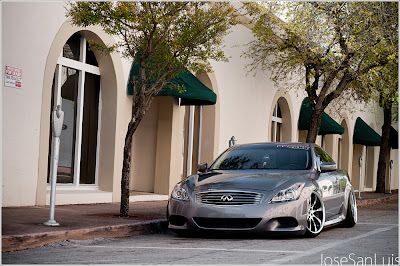 Although I thought a 19" wheel was too small on a G37 just a few years ago, I have come to believe that it looks rather appropriate with the proper offsets and the optimum ride height. Additionally, running a 19" wheel with a slightly thicker tire sidewall provides some peace-of-mind on these unpredictable New England roads. 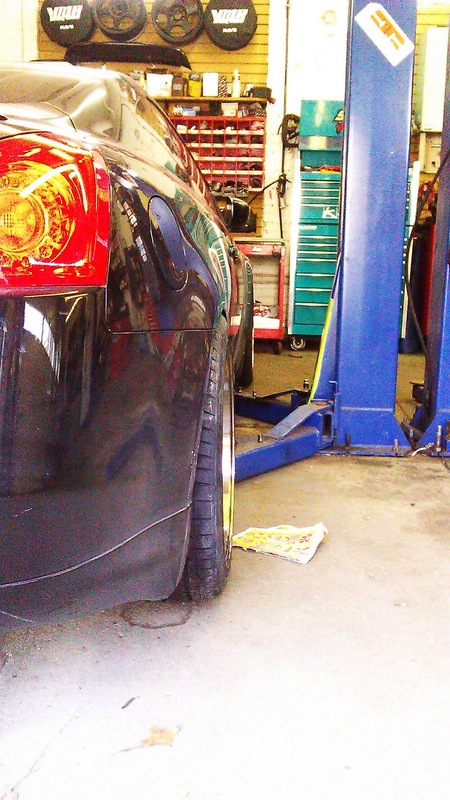 Once lowered off the lift, the wheels tucked a bit more, easing some of Brian's nerves. 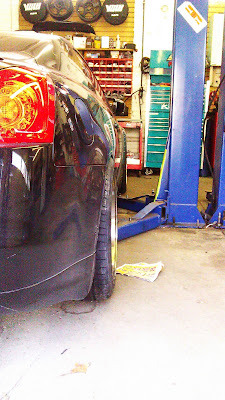 However, it looks as though we will be raising the car up a bit and installing a camber kit at some point in the near future, as running more negative camber than initially expected is in order. Currently in week three of a fourteen week waiting period for my exhaust components to arrive from The Land of the Rising Sun, Brian and I have decided to get started on the next stage of the project now, leaving the exhaust portion of the build for the end. 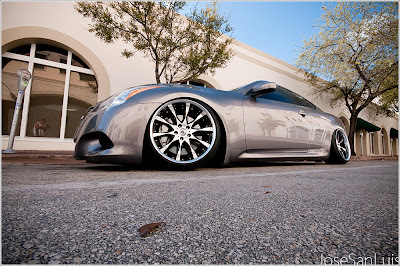 The HellaFlush trend is making its way to the V36 platform. 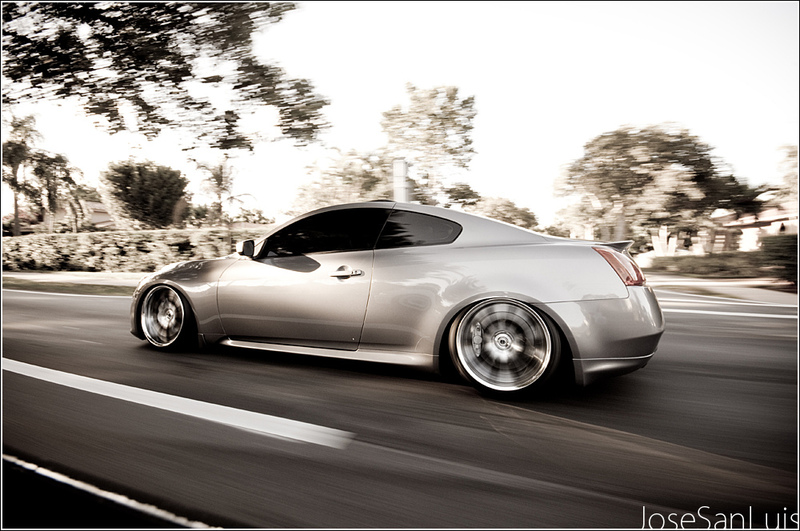 This is the G37 of MyG37 member, Ninjastatus. I respect the notion of challenging the status quo, pushing limits, and uniquely establishing crazes that eventually evolve into timeless trends. However, my issue with the stanced movement in the Z/G community arises from the simple fact that these are supposed to be drivers' cars. The Z is a sports car and the G is a "luxury" sports car. The electrifying experience of mashing the gas pedal into the floor around a corner becomes null and void when the vehicle is hard-pressed to maneuver over an acorn in the road. When the front bumper and the exhaust piping are scraping the ground regularly, owning and modifying that vehicle has become more about attracting the attention of others than enjoying the machine's capabilities for one's self. My line of tolerance and indulgence in this trend is drawn when the shock and awe of an onlooker takes priority to the driving experience. Afterall, how much fun is the driver of this G37 really having as he scrapes the undercarriage trying to negotiate this slightly inclined driveway entrance at 2MPH? Is it worth it?